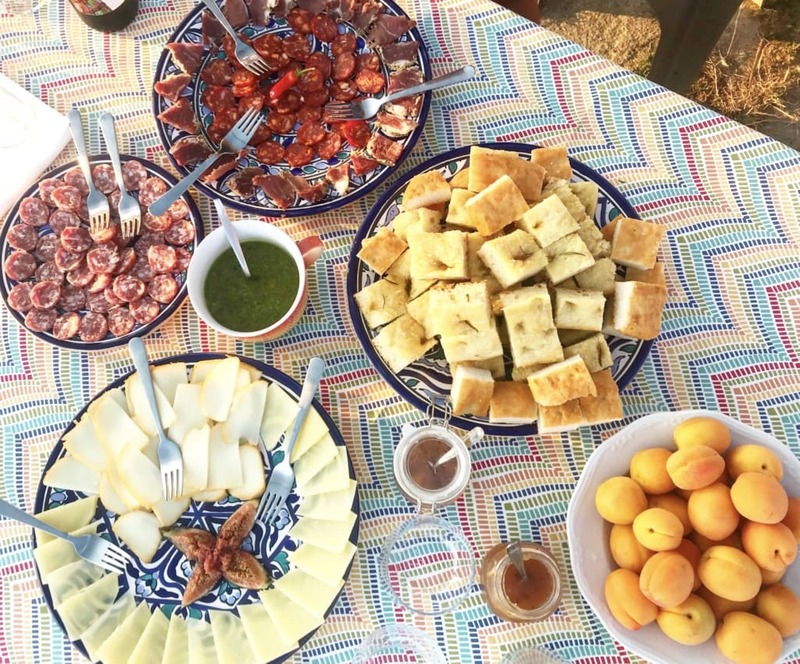 There’s no denying that a sensational part of traveling in Italy (and around the world) is tasting all the flavorful, gluttonous, scrumptious food specialties the country has to offer. Tasting the food, learning how they prep it and the history behind the ingredients, within each region, town, village and home, gives intensive insight to each culture. 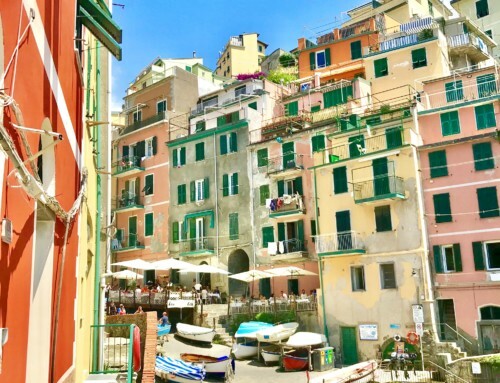 On my recent trip to Italy touring the north, I spent a week eating and sun-bathing my way through Liguria, a coastal region in northwestern Italy. 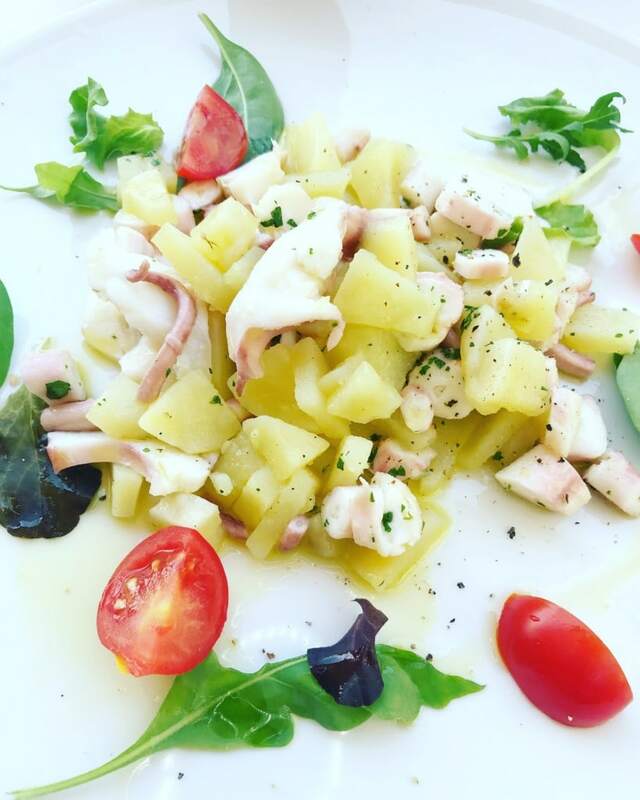 Did you know that some of the most famous Italian dishes are food Specialties of Cinque Terre and the rest of the Ligurian Coast? Well I am sure you’ve heard of Cinque Terre, Portofino and Genoa. Liguria is bordered by France (Provence-Alpes-Côte d’Azur) to the West. Piedmont to the north, and Emilia-Romagna and Tuscany to the east. It lies on the Ligurian Sea. The Alps and the Apennines mountains. Liguria is divided by 4 provinces: Imperia, Savona, Genoa (Portofino) and La Spezia (Cinque Terre). Now that we have the geography of Liguria out of the way, let’s move on to the food. The Italian Riviera has well deserved it’s popularity among tourists. Even more so, as well as it’s proud residents with many who’s roots trace back countless generations and they have no intention to leave. The coast line boasts some of the most idyllic beaches, colorful houses, friendly people.. and you guessed it: Food! 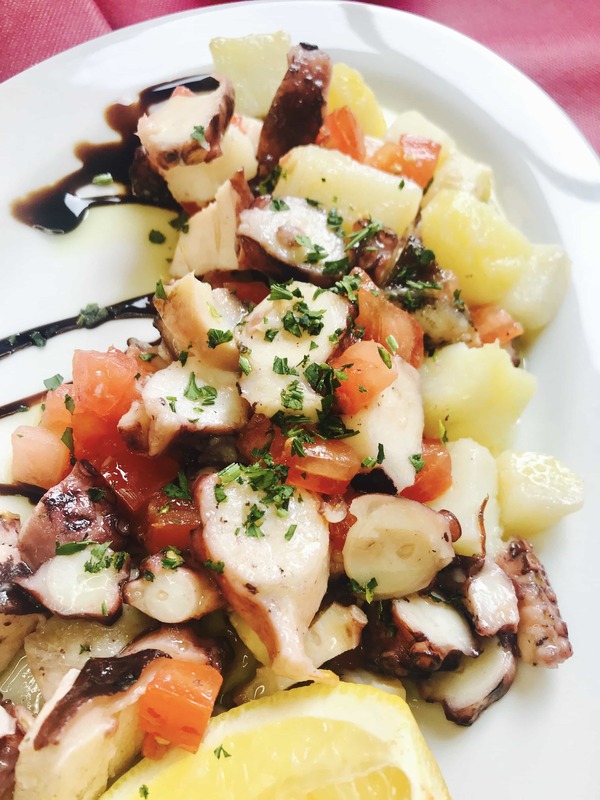 Since I ate my way through the coast, I’d like to share with you some of the food specialties of Cinque Terre and the rest of the Ligurian Coast. It’s a given that when visiting coastal towns, seafood will be the most common food group on menus. But as I dove deeper, I discovered more food specialties of the Ligurian Region that extended beyond seafood. 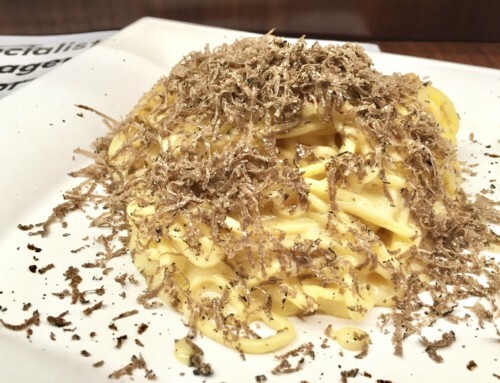 The mineral-rich soils and climate of the region has produced some of Italy’s most famous dishes and staples that is popular across the world. In this post, I share with you some dishes and snacks you must try on your next visit! Antipasto served at Emanuele’s house in the mountains atop Riomaggiore during Bach Sunset  & Wine night. Pesto technically means any herbs mashed into a paste in a mortar & pestle. But when most people refer to “Pesto”, it is referring to “Pesto alla Genovese”. This translates to the pesto of “Genoa“, the capital city of Liguria which gave birth to Pesto. It’s found everywhere you go; one simply can’t miss the sight and the enticing smell. Pesto is used as a topping and a side for bread. Markets sell them fresh and in souvenir jars to take home. This made me so happy as I’m obsessed with pesto. Ingredients include: Basil, Pine Nuts, Olive Oil, Salt, Pepper, Peccorino (and/or Parmigiano-Reggiano), and sometimes Mint and Garlic. Best paired with: Well, everything. Other Italian pastas also available: Spaghetti, Linguini, Lasagna, Penne and more.. Recommendation: There are ‘pesto making classes‘ offered which may be worth taking paired with wine. You’ll easily walk by some restaurants/cafes offering this course where you can sign up directly, or look through Airbnb Experience. This soft, hearty, flat-oven baked bread has it’s origins in Liguria. Made similar to pizza dough, the Ingredients include: flour, yeast, salt, water and oil. Focaccia bread in Liguria is served more as a flat bread than the thicker, course texture in the US. Served hot out of the oven, it’s typically sprinkled with salt, olive oil and rosemary. Topping vary with cheese, olives, vegetables or sausage. Sometimes it is made like pizza with various toppings. Traditionally, Focaccia can be eaten plain, with a dipping sauce (such as Pesto!) or as sandwich bread. Eat as street food, antipasto, during apertivo or with meals. These bread specialties are a good replacement for those avoiding gluten. Paniccia is like a thicker tortilla made with Chickpea (Garbanzo Bean) flour, water and salt. Deep fried, cut into wedges and served hot out of the pan as small bites. While it sounds simple, it is a delicious afternoon treat or late-night snack that always hits the spot! Bread made from Chickpea flour, water, oil, salt. Prepared as a thin layer on a hot griddle plate. Baked in a pizza oven. Farinata should be served hot as a bread side. Both Paniccia and Farinata are most well known in the bustling town of La Spezia (northern town in Cinque Terre, easy train ride from surrounding towns). 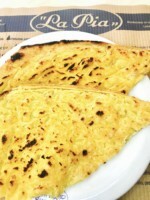 Where to Eat: La Pia Centenaria is the oldest restaurant serving Farinata in La Spezia. Opened since 1887, the family-owned restaurant use to serve Farinata to fisherman and workers passing through. It was so popular that over a century later, La Pia now has 5 restaurants throughout Italy and 1 in London. 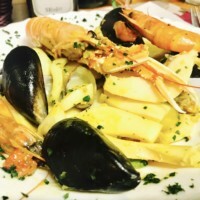 Seafood Pasta at the upscale Just Peruzzi Restaurant (overlooking the beach) in Bogliasco neighborhood of Genoa. 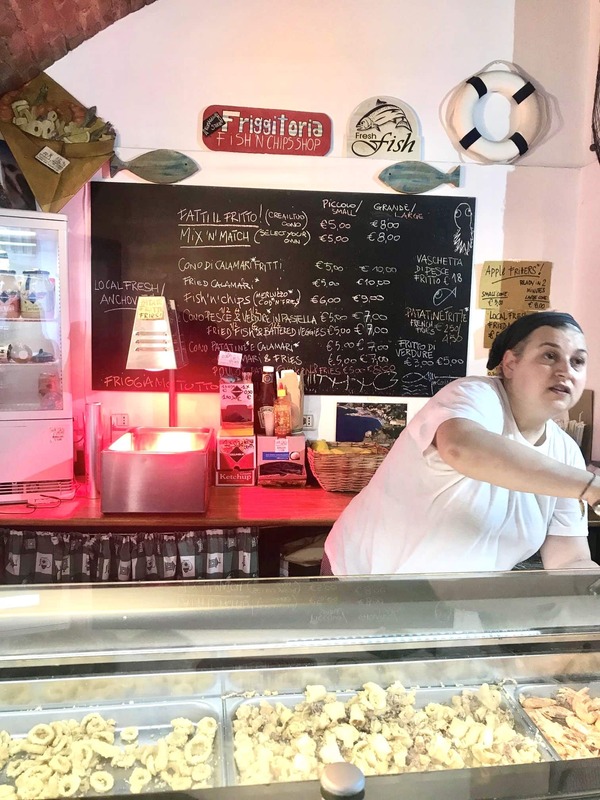 Tutti Fritti in Riomaggiore serves up freshly fried seafood that is inexpensive and delicious. 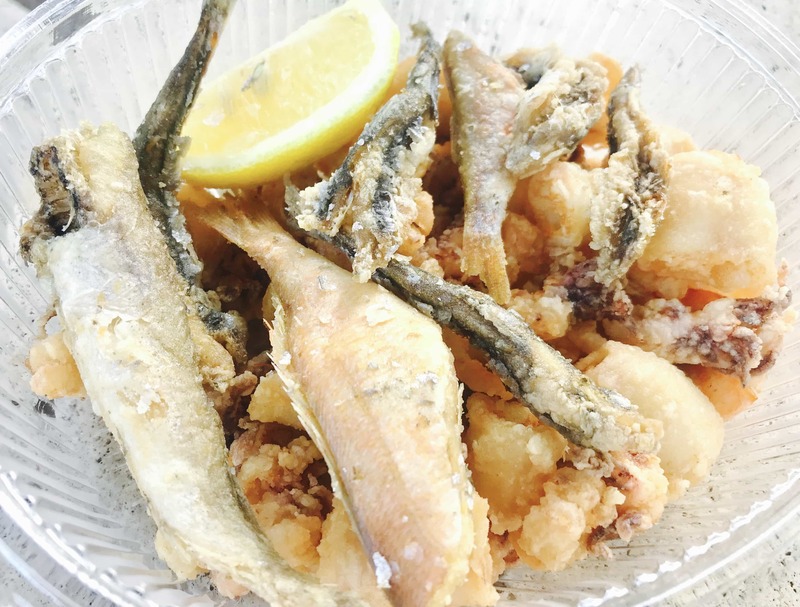 “Fritto Misto” translates to fried mixed seafood which includes: Calamari, Fish, Mussels, Clams, Anchovies, Octopus and whatever else is the catch of the day! 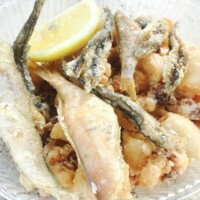 Fritto Misto in Cinque Terre is typically served in a paper cone and is a cheap but delicious eat. It’s meant to be eaten as a snack or street food although one can easily fill their belly up as a meal. 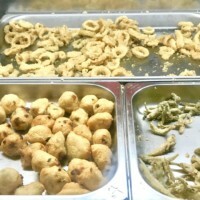 These seafood snacks can be found sold out of street carts or smaller fast food type restaurants with all the fried seafood on display. The cost is around 5-7 euros for a single serving mix of seafood (cheaper if 1 kind of seafood) or 8-10 euros for a bucket that can be shared between 2-3 people. 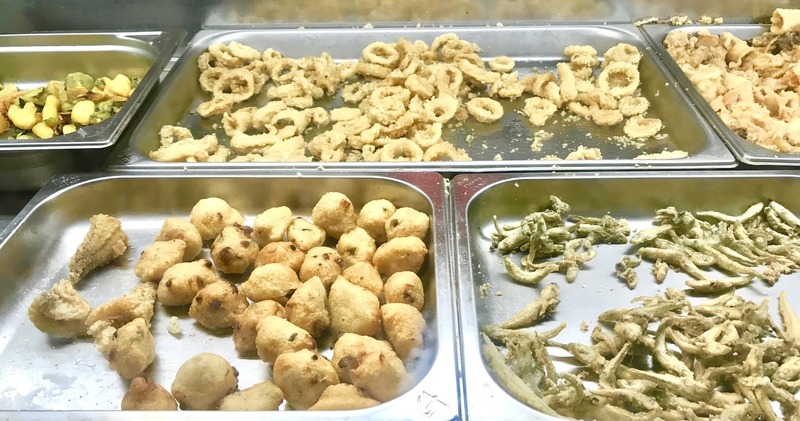 Where to eat: “Tutti Fritti” or “Il Pescato Cucinato” in Riomaggiore is one of many small shops that sell “Fritto Misto” on the go. 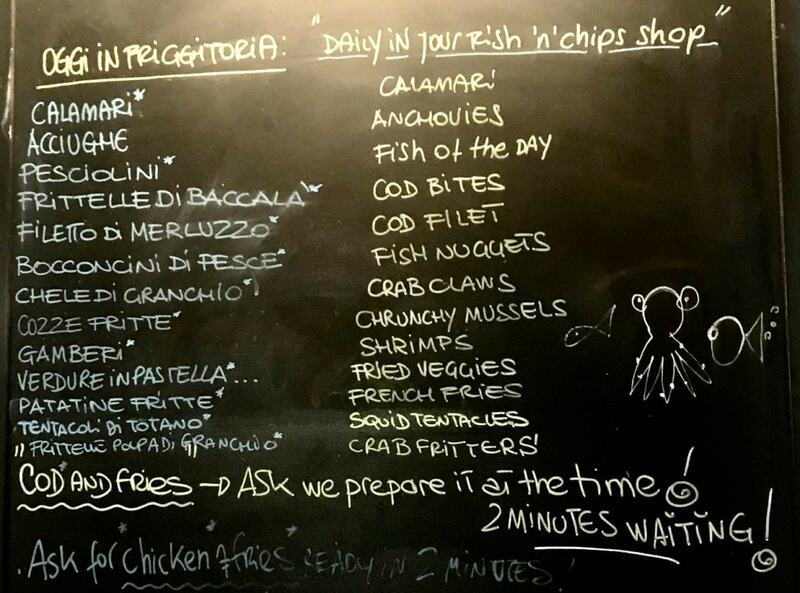 In La Spezia, go to “Dai Pescatori” on the pier but expect at least a 20-30 minute line (well worth the wait!). 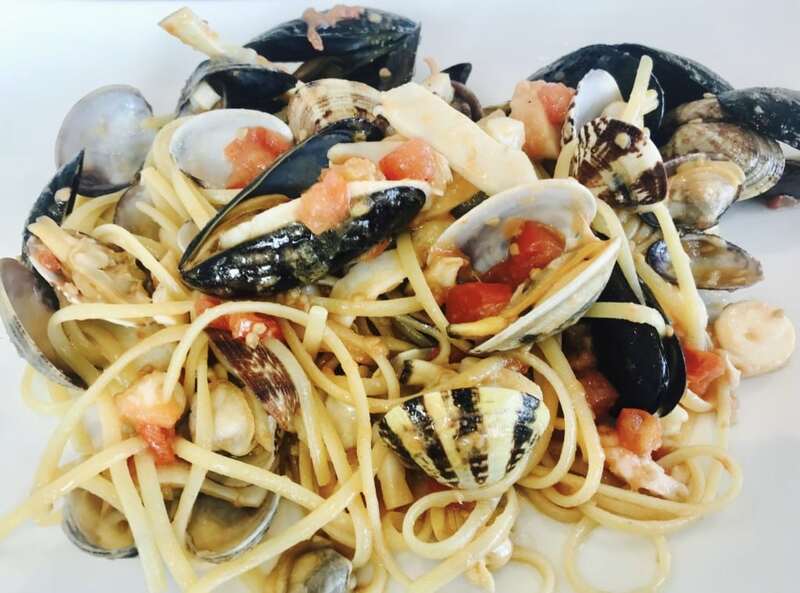 “Frutti di Mare” literally means mixed fruits of the Sea. You may see this on the menu as a salad, with pasta or entree. A starter I always order to share with the table is the Seafood Salad. Some seafood are served raw: Seabream Carpaccio or Tuna Tartare for example. Others have slightly cooked seafood mixed with Rockula Salad (Arugula) sprinkled with olive oil, salt and lemon. 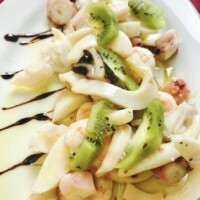 Where to eat: The best seafood salad we had in Cinque Terre (3rd photo above with Kiwi) was at Bar Centrale. Although ultra touristy, with the location being right smack in the middle of Riomaggiore, it was our favorite. And who would have thought to add Kiwi to the dish? A thoughtful touch. 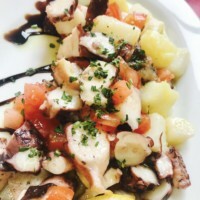 “Ensalada de Pulpo y Patata” translates to Octopus and Potato Salad. While fully cooked, it is served typically warm to cold. Anchovies: Even if you aren’t into anchovies typically served in cans, I recommend you give it a try in Liguria. It’s typically caught the morning of and particularly popular in Monterosso. 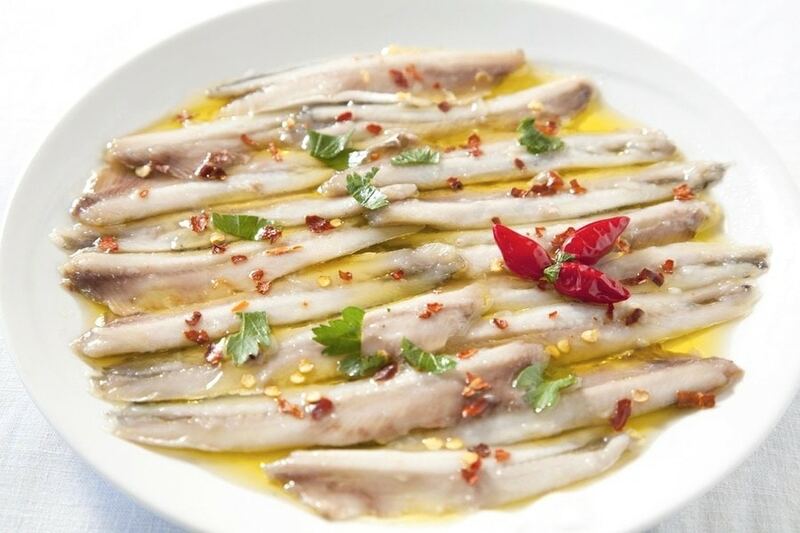 Anchovies can be served on just about anything or eaten alone. Anchovies, a popular staple, fished and served in the Ligurian coast. Other common fish in Liguria are Sea Bream and Sea Bass, either served raw, smoked, fried or barbecued. 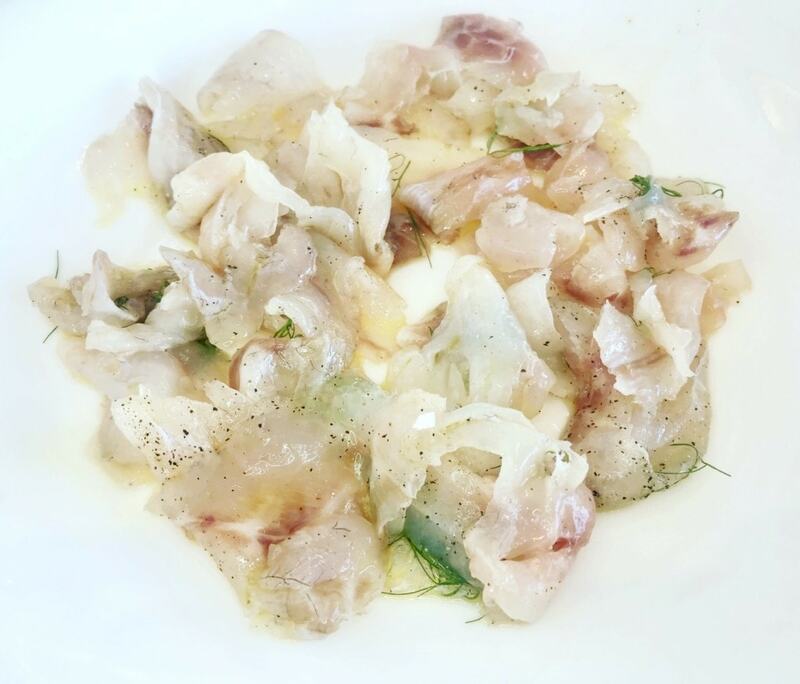 Seabream Carpaccio at Just Peruzzi Restaurant in Bogliasco in Genoa Province. 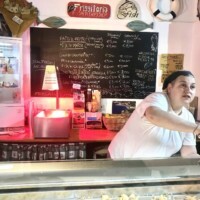 Where to eat in Genoa: “Piero21” in Genoa on the pier for inexpensive, traditional seafood with mainly only locals. “Osteria del Duca” in Genoa Nervi. Cozy, Outdoor seating on the Sea serving fresh seafood and Genoa specialties. 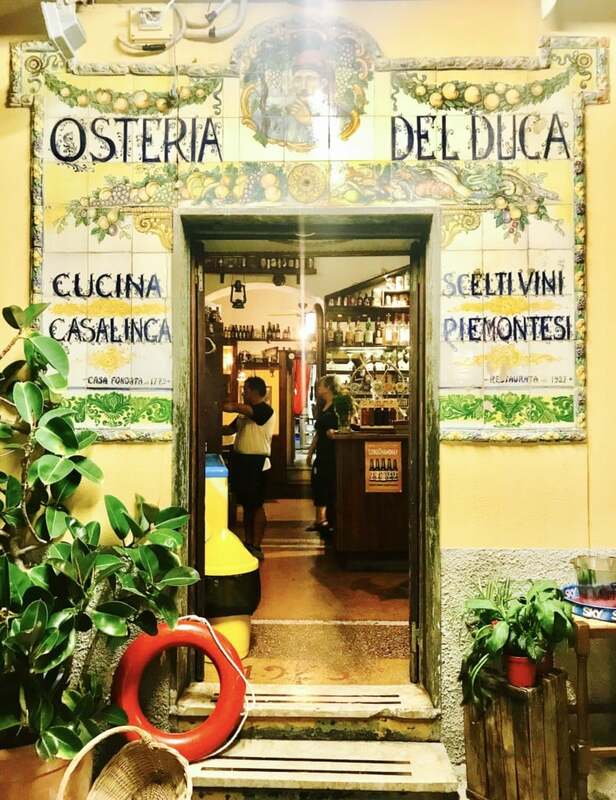 Osteria del Duca in the Genoa Nervi neighborhood sits right on the sea with outdoor seating. Open late with a pub inside, they serve up fresh local seafood, and also has live music every wednesday this summer. Minestrone: Typically consumed on sundays, Minestrone has a mash of hearty ingredients in the soup. Ingredients include: Beans, Pasta, Vegetables, Tomatoes, Potato and possibly topped with Parmesean or Pesto. Ciuppin or “Ciuppino”: Created by fisherman in the Ligurian Coast, originally with unwanted or leftover fish, stale bread, cooked with white wine, garlic, onion and oil. The fish is cooked for up to 2 hours and served as a soup. Seafood Soups or Stews are also common as you can guess by now! When most think of Cinque Terre, they think of the beautifully lined colorful houses along the coast and it’s perfect sunsets. But what makes the 5 lands most special is that it once had the largest land mass of vineyard. Today, the grapes are harder to grow and is still mainly hand-picked as it hangs off the cliffs throughout the area. 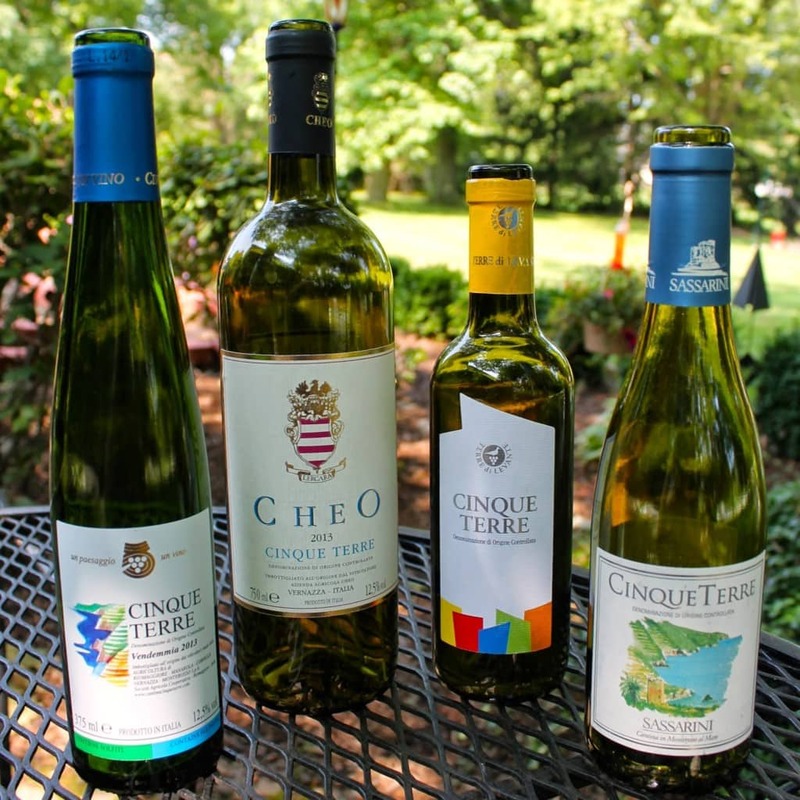 Today, Cinque Terre is still particularly known for it’s dry white wine. In order to guarantee that you are buying authentic Cinque Terre wine, look for the D.O.C. symbol “Denominazione di origine Controllata” on the bottle. Recommendation: “Bach Sunset & Wine” is an experience not to be missed during your stay in Cinque Terre. Contact Emanuele for availability times as he is a classically trained pianist, an encyclopedia on everything Cinque Terre and Italy. He also has a winery at his house where he walks you through the history of wines in the region which is followed by live Bach music played on his piano. Also: Take a hike along the vineyards in Levante and Cinque Terre with a local guide for a deeper understanding and appreciation of how the grapes are cultivated. The region is famous for the boundless amount of juicy lemons they grow throughout the year. 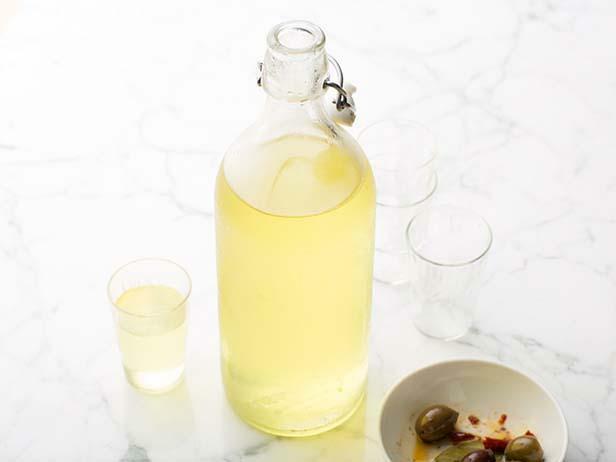 As a result, they made them into Limoncino (or “Limoncello“): a liquor made with lemon peels, adding sugar and adding moonshine, vodka or any alcohol they prefer. Typically served as a ‘digesto’, you can drink it any time of the day. Sip on a small glass or with ice – always super refreshing. But be careful, as the sweetness from sugar deceivingly wipes out most the taste of alcohol and the alcohol % can be extremely high. You may possibly get tipsy faster than you think. 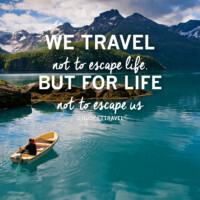 Especially out in the sun! Recommendation: Limoncino is served in most restaurants, cafes and bars. They are sold in bottles but it is best tasted freshly made if you get the chance to try it. Use discount code: DEB4FRIENDS for 10% off. They also operate in: Milan, Verona, Savona, Naples, Florence and Pisa. Every region of Italy has it’s specialties and traditional produce. Specifically, each town, village and even homes create the dishes differently. I recommend you taste your way through Italy with an open mind and open palette. Not only will it fill your belly with so much love and nutrition, it will give you insight into how people lived hundreds and thousands of years ago. 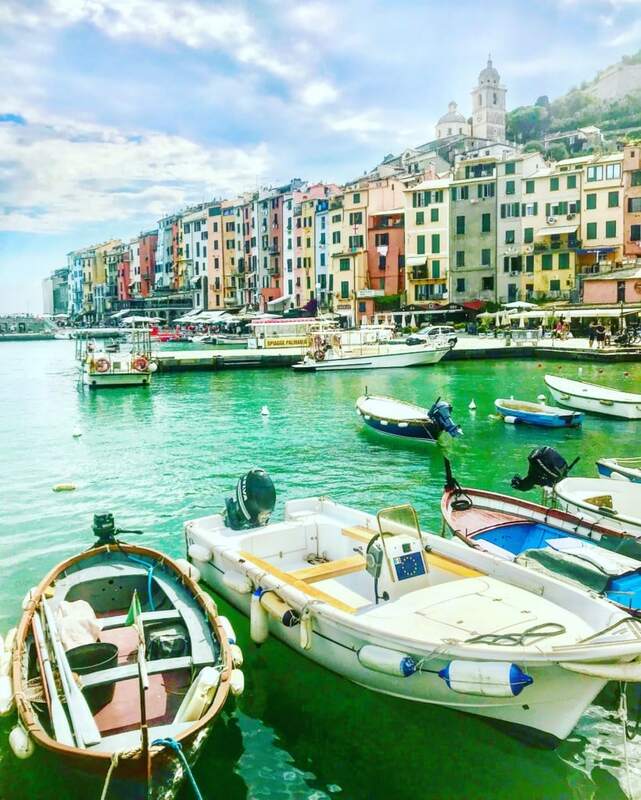 Portovenere is located in the southern tip of the Cinque Terre islands with a dozen restaurants, cafes, gelato and souvenir shops.